By Xah Lee. Date: 2018-07-11 . 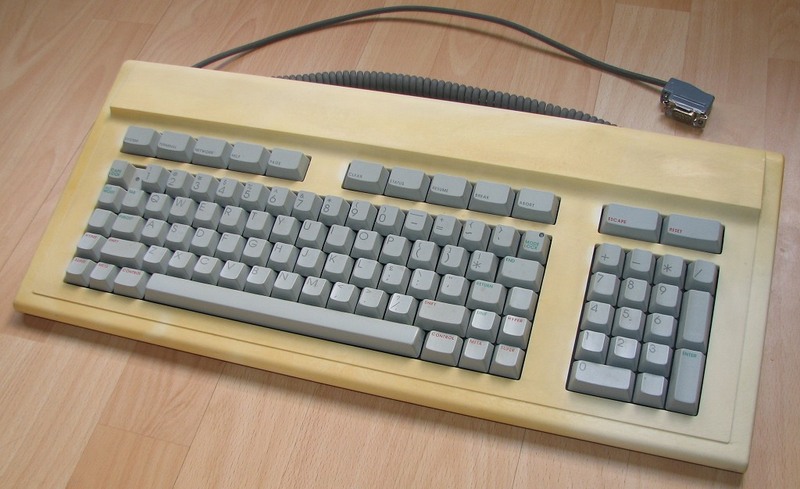 The Racal-Norsk KPS-10 Keyboard, is build around 1984. 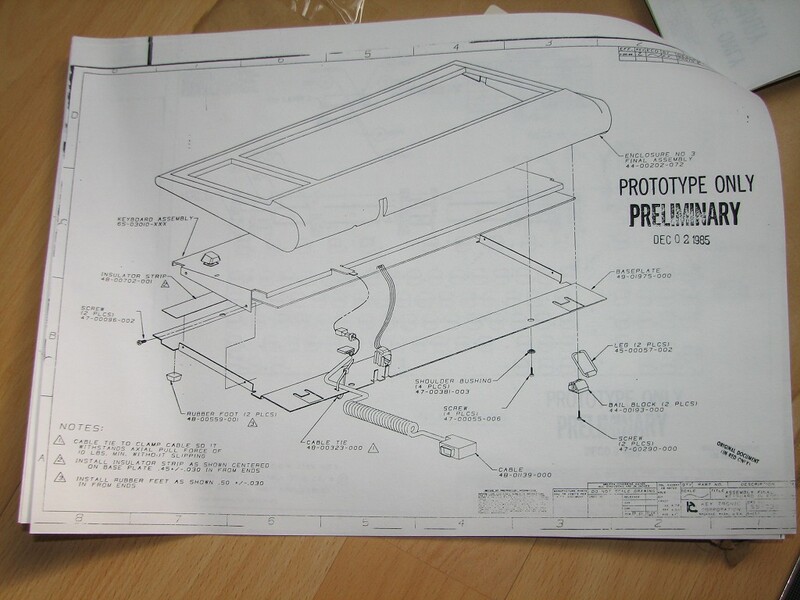 It's a prototype only, that never went to production. It was intented for a new Lisp Machine. 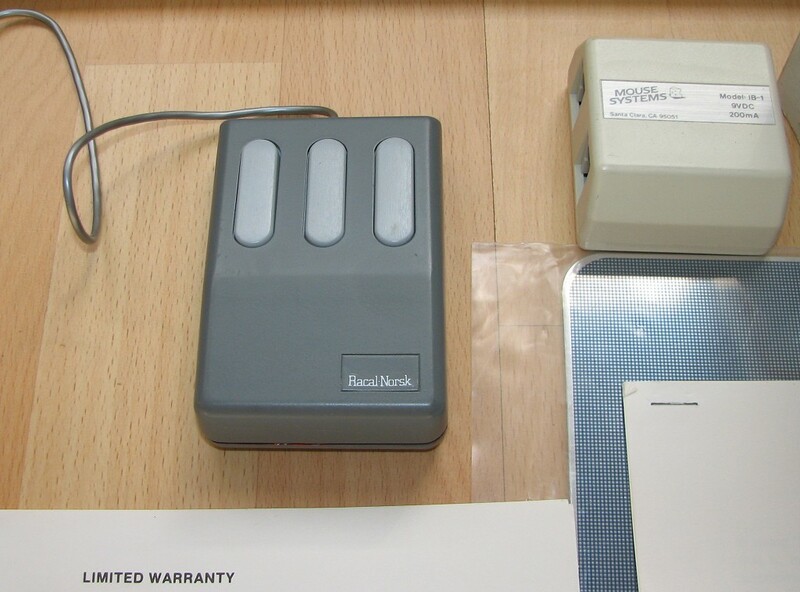 In 1984–85 a UK firm, Racal-Norsk, a joint subsidiary of Racal and Norsk Data, attempted to repurpose Norsk Data's ND-500 supermini as a microcoded Lisp machine, running CADR software: the Knowledge Processing System (KPS). 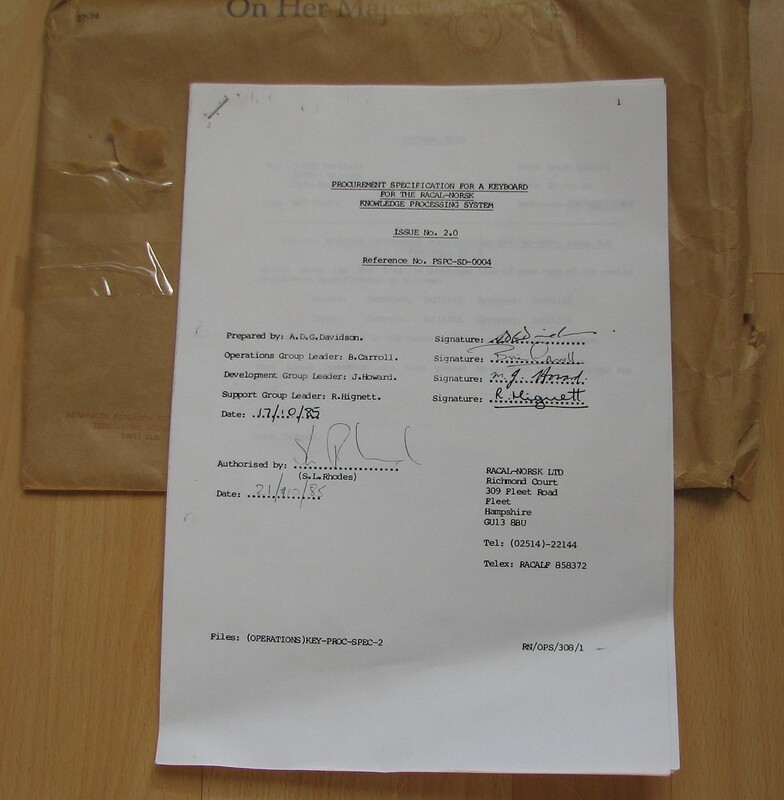 Racal-Norsk was a UK company, a symbiosis of British Racal Electronics and Norwegian Norsk Data. 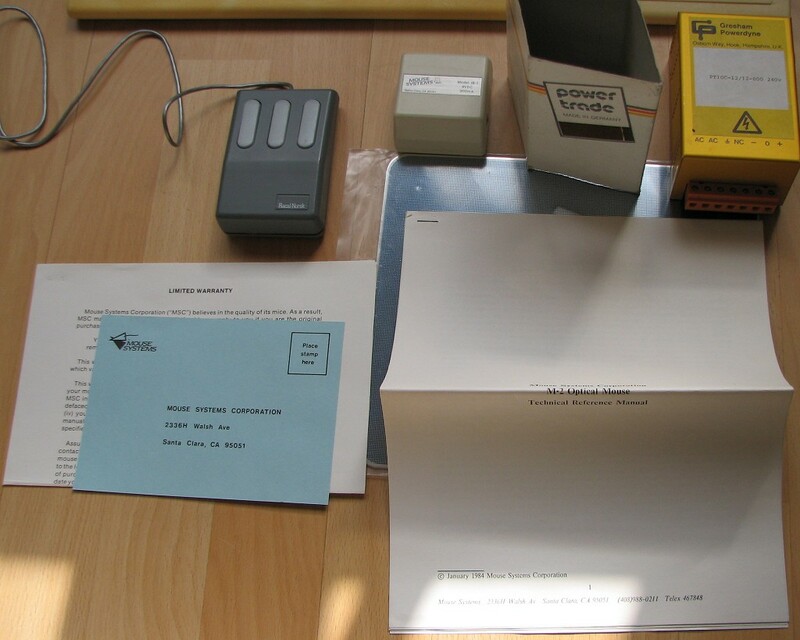 The objective was to make a multi-user Lisp Machine. 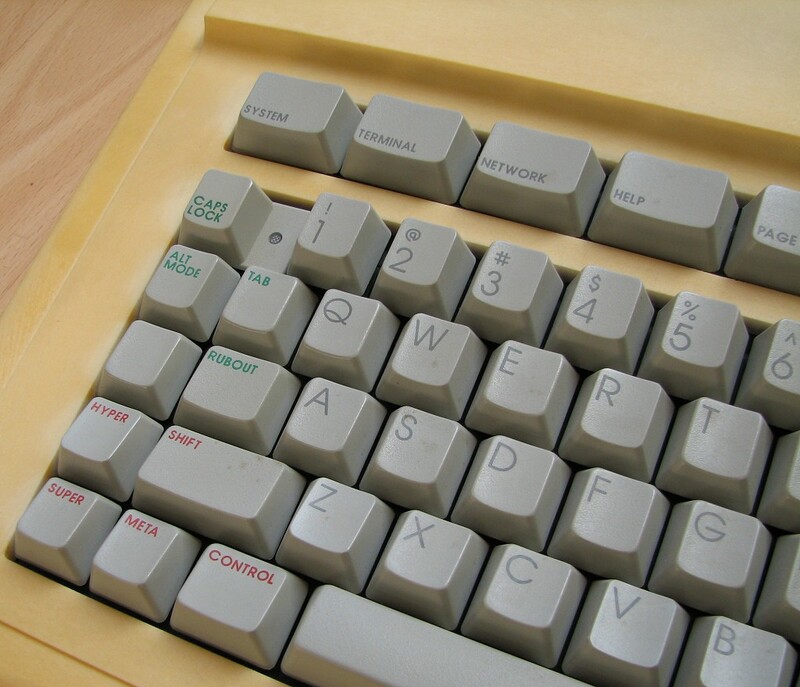 I got the prototype from someone who was working with Symbolics system at the time and was press-ganged into working at Racal-Norsk in lisp software. 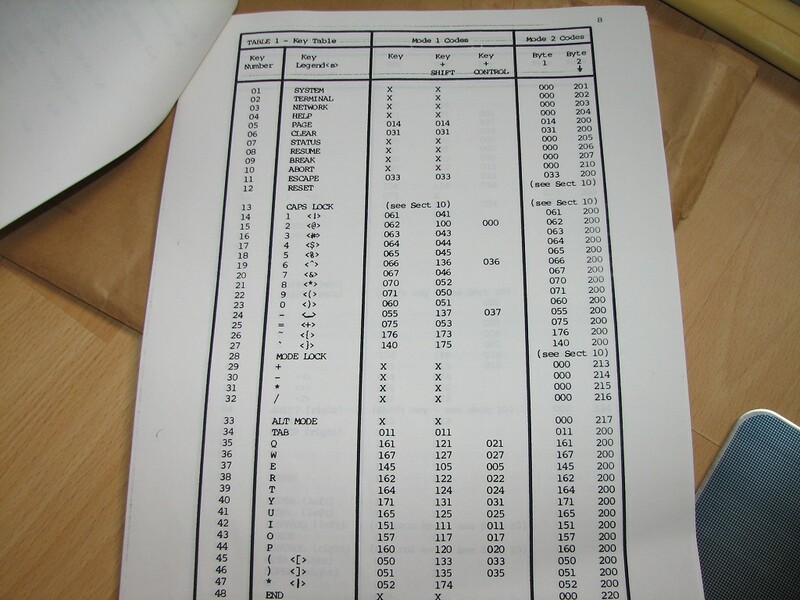 They built a Lisp Machine based on the Norsk Data multi-port processor (ND-570 and ND-550) and MIT ZetaLisp (circa 1984/5). The keyboard is probably the only one of its kind. One of the people who was working at the company at the time was Richard Stallman. 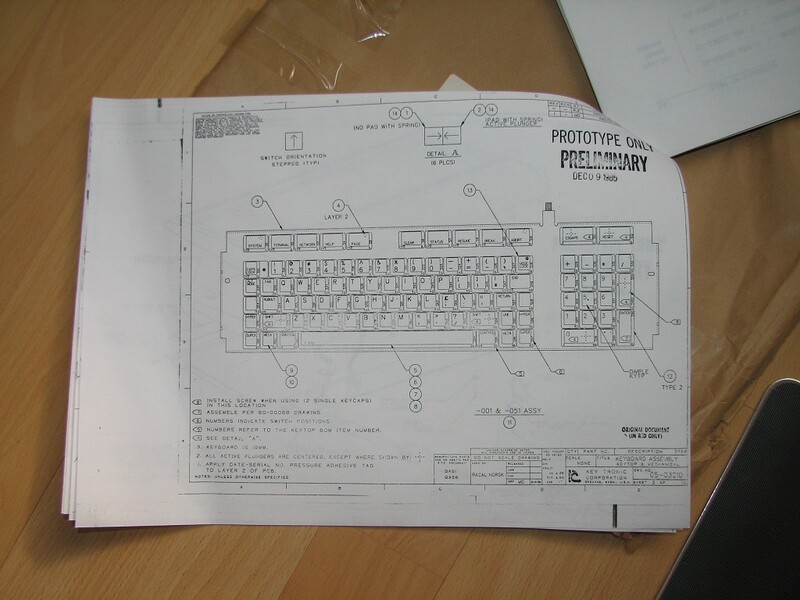 Peter Richards was involved in the design of the keycaps. 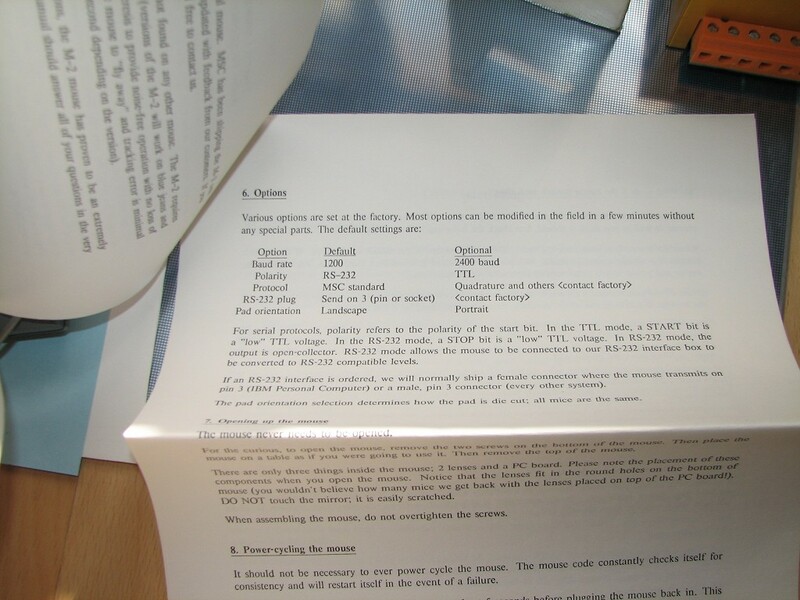 The objective was to make the ultimate lisp I/O experience, but this was the first and last prototype. 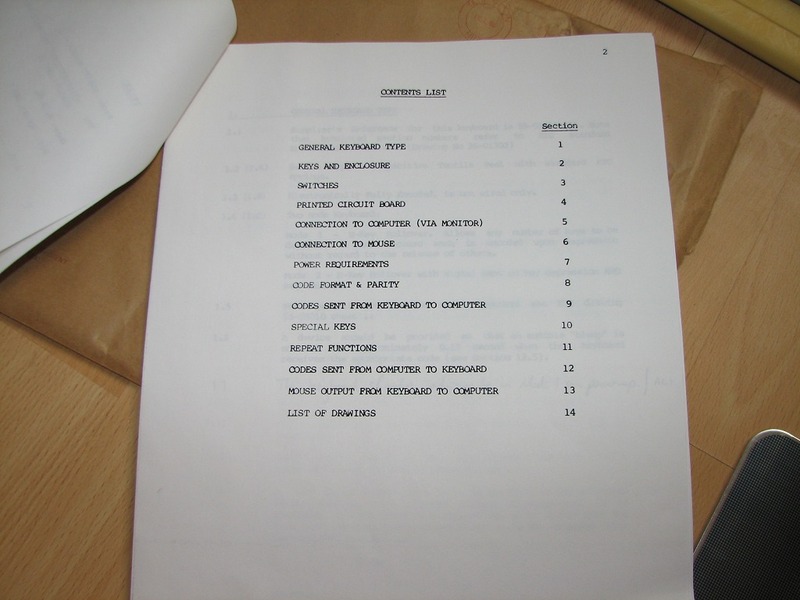 At the very time that the first Lisp image came up, Racal and Norsk pulled the plug on the company and fired everyone. The project was moth-balled and presumably sleeps in some dungeon to this day. It could have been something significant, and a ~20 man team worked away for 2 years to create a formal specification of MIT Zetalisp (for many the grand-daddy of Lisps). Racal-Norsk bought the worldwide rights to MIT Zetalisp outside the USA. The yellow nature isn't the tradional yellowed plastic from sunlight, it's the nature of the prototype material. 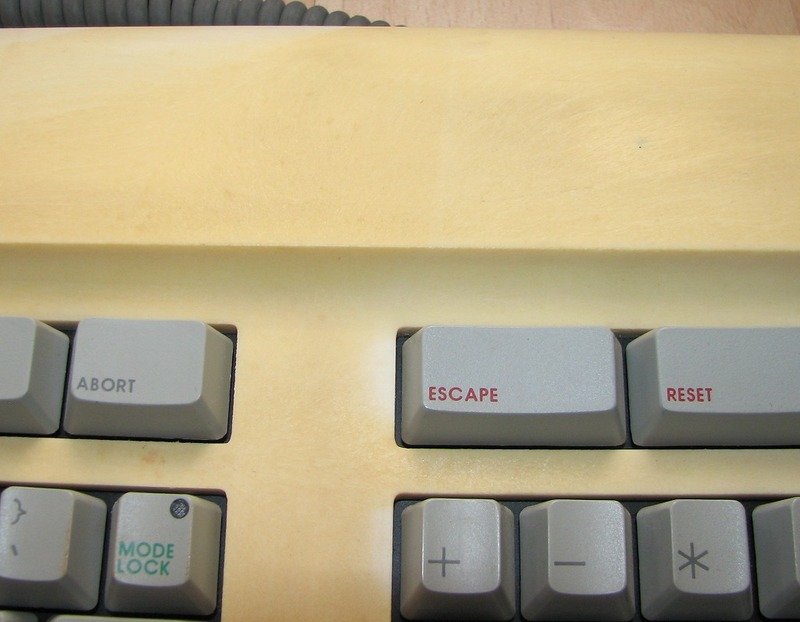 Racal-Norsk KPS-10 keyboard 8. Bottom. 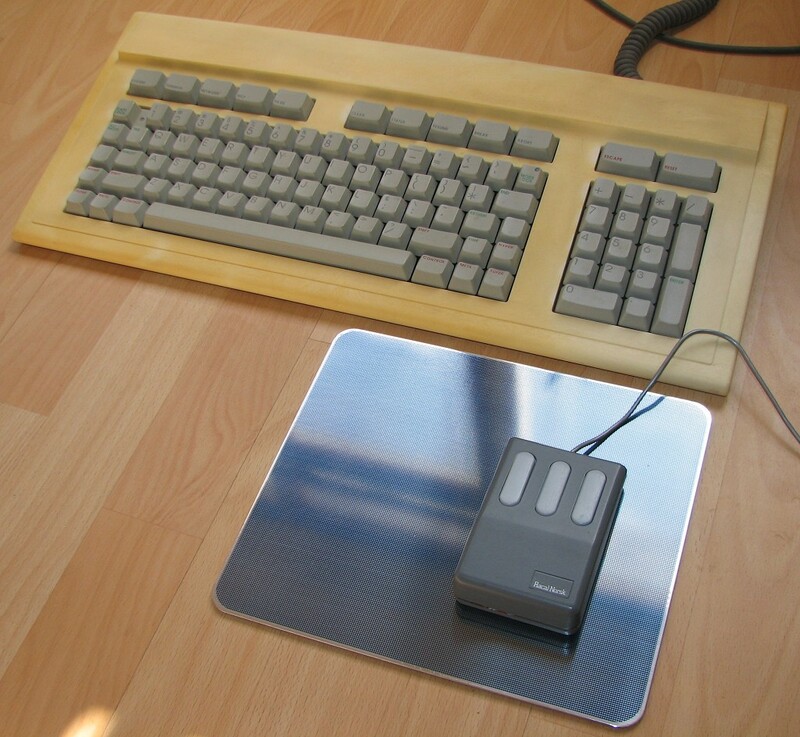 Racal-Norsk KPS-10 keyboard and optimal mouse. 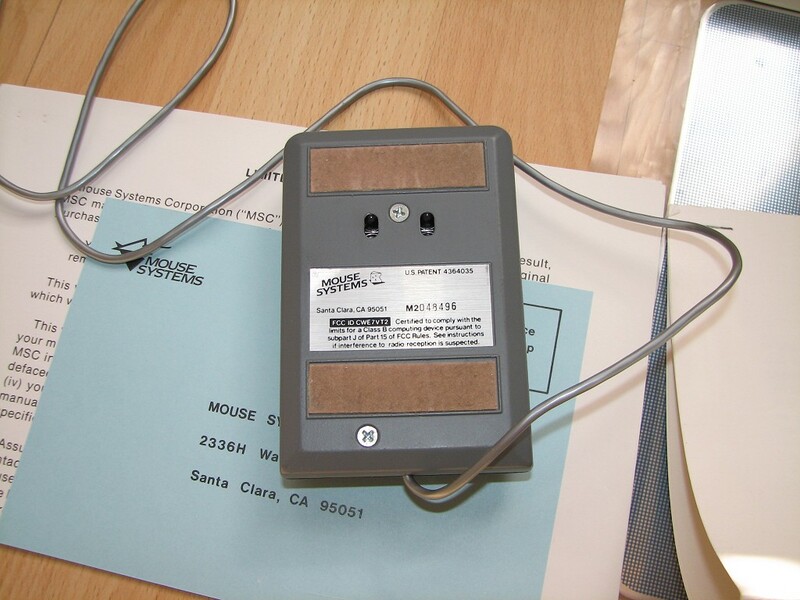 Optical mouse. 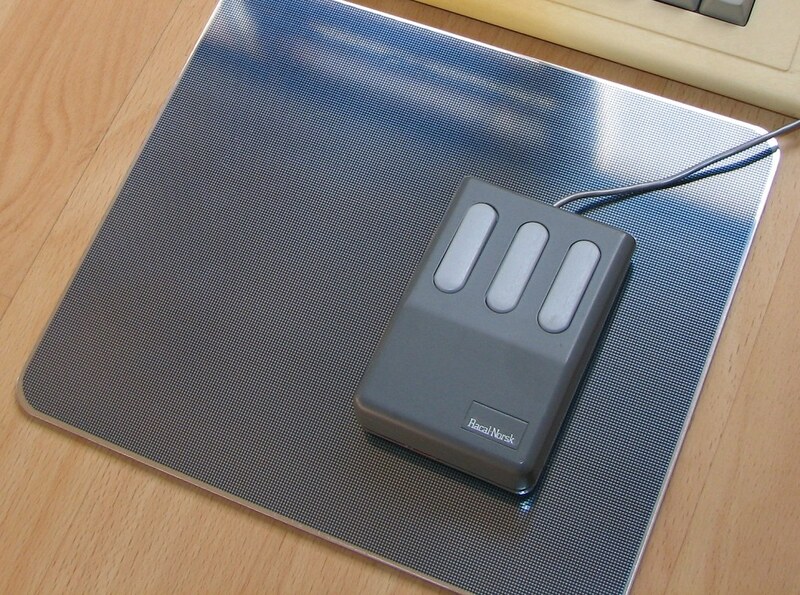 The pad below is reflective surface, made of metal and sort of glass coating. You need the pad for the mouse to work. back of mouse. Seems to be made by Mouse Systems. 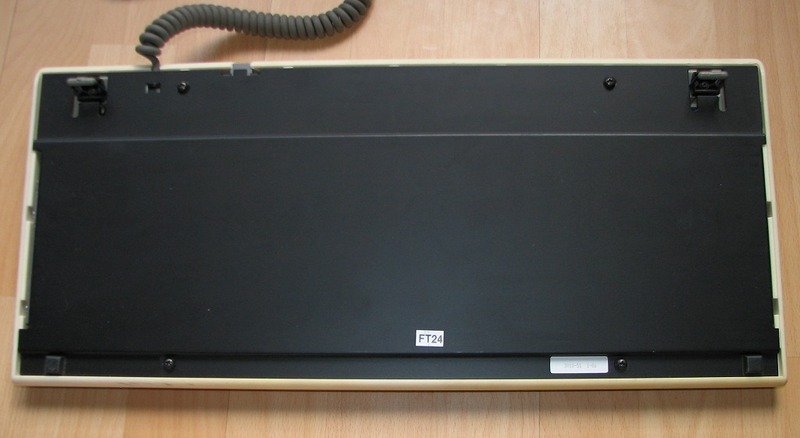 Racal-Norsk KPS-10 keyboard 21. 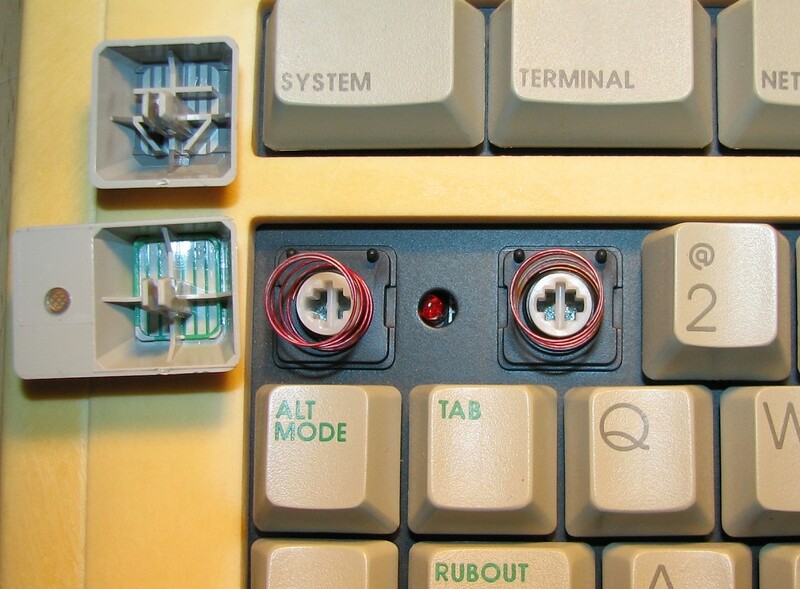 Keycap and key switch mechanism. 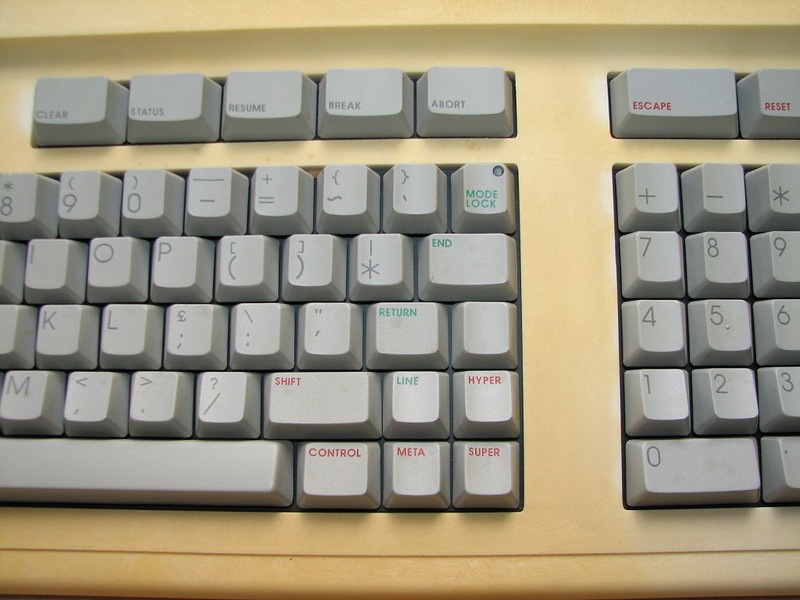 All photos by webwit, at https://deskthority.net/keyboards-f2/the-lisp-keyboards-t98.html Used with permission.